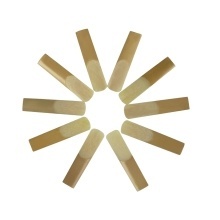 High quality reeds for Bb soprano saxophone. 10pcs in one pack, Strength 2.5. Providing good sound quality for your saxophone.